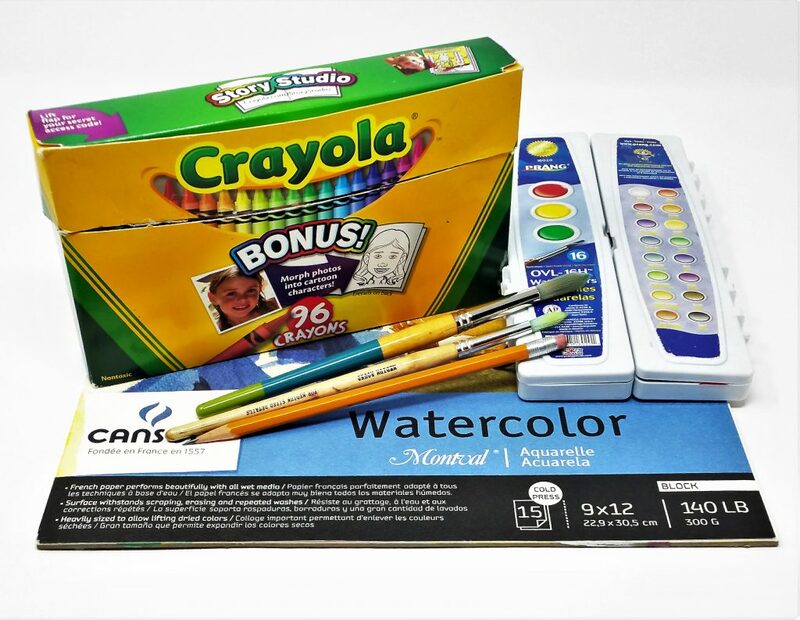 This watercolor art project for kids will bring a little holiday color to your winter season. 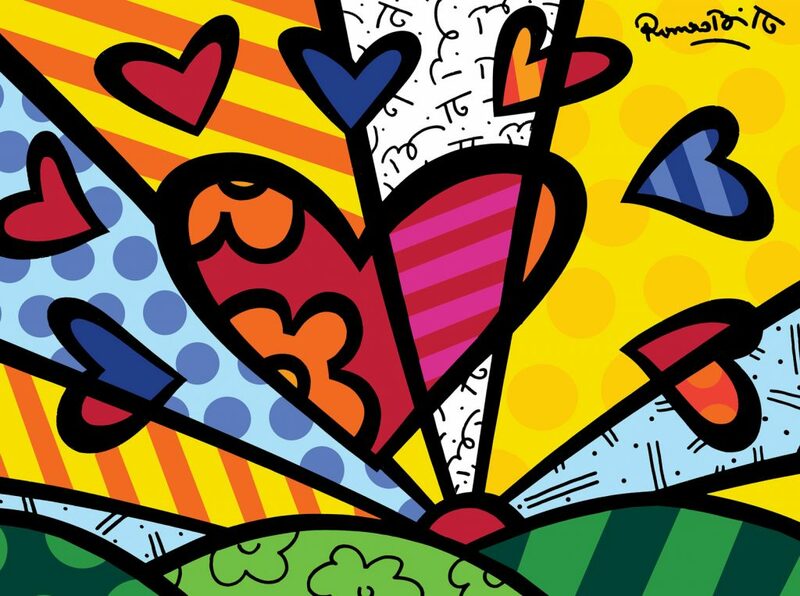 You may not know who Romero Britto is, but I’m sure you’ve seen his wonderfully bright cheerful artwork. 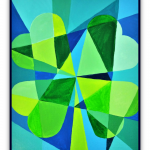 Britto was born in Brazil and self-taught at an early age. In 1983, at 20 years-old, he visited Paris where he was introduced to the works of Matisse and Picasso. Romero Britto has lived in Miami since 1989. 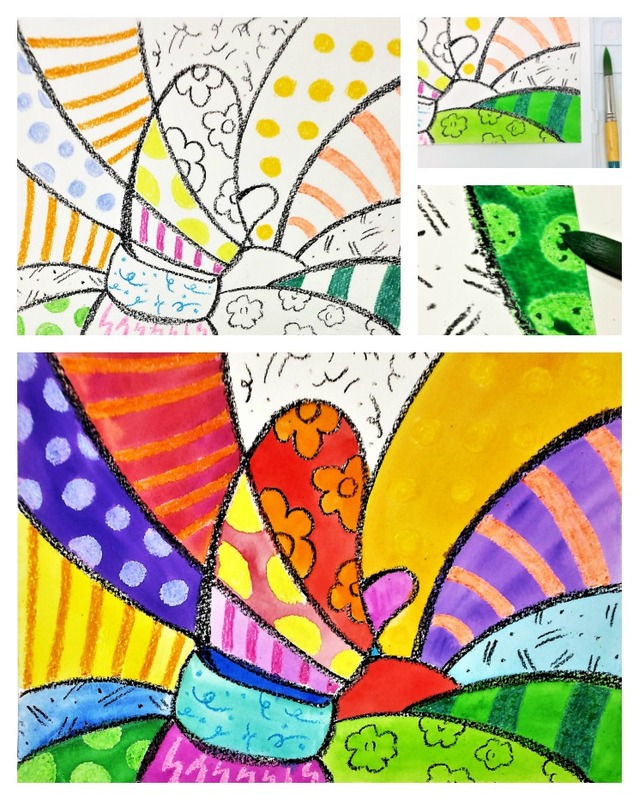 Today’s art project is inspired by Romero Britto’s, Britto Heart. 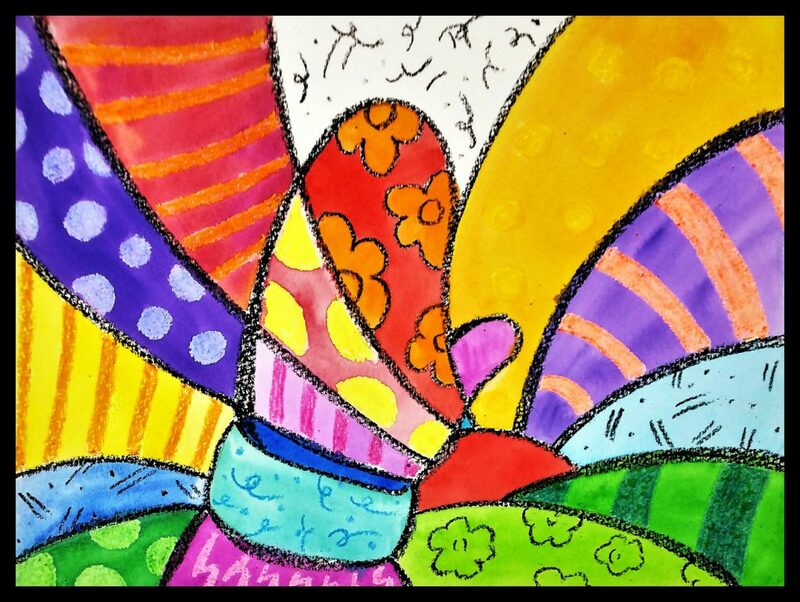 Britto’s artwork exudes hope and happiness. Inspired by the masters he looked up to, Britto created his own iconic style that is recognized across the world. 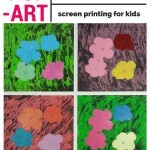 He has exhibited in over 100 galleries worldwide, including the Louvre in France! 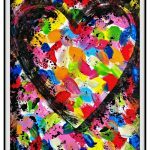 Not only is art important to Britto, but also giving back to the world. 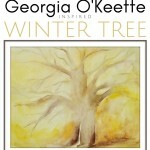 He has donated his time, art, and resources to over 250 charitable organizations. Britto believes that art plays a role in world issues and artists can be agents of positive change. 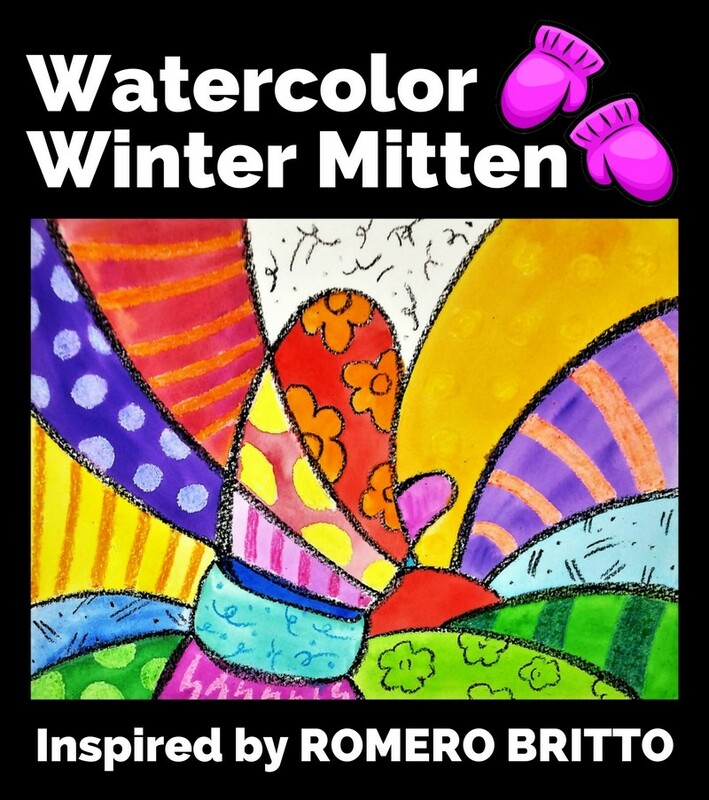 In this fun, simple art project, you will learn how to create your very own personalized winter mitten, Britto style! The first step of this art project is to trace your hand in the middle of your paper. You do not need to trace around each finger, instead trace around the fingers as one shape for your mitten and include your thumb. Once you have the outline of your hand, include a simple cuff at the bottom and add the rest of your design inspired by Britto’s Heart in pencil. Once you’re happy with your design in pencil, go over the lines with black crayon. The crayon will act as a resist when we fill in each shape with watercolor later on. Add any other design elements that you wish in colored crayon. 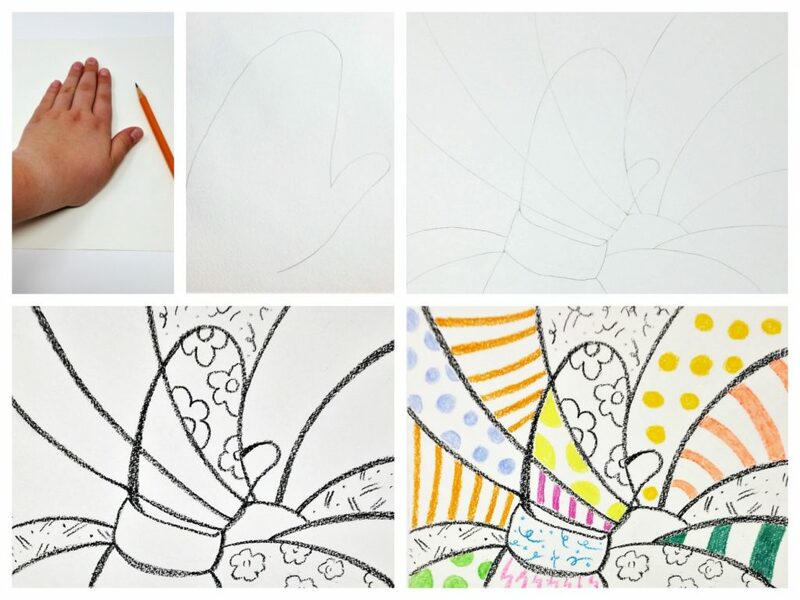 For this project, you can either add patterns in crayon or watercolor, or any combination of both. Now it’s time to paint! 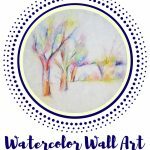 Fill in each section of your design with the colors of your choice in watercolor. Be sure to use bright, vibrant colors. In watercolor, you achieve this effect by using more paint and just enough water to make it fluid enough to paint your shape. When each area is filled with the color of your choice, your mitten is finished. Feel free to also leave any areas white if you choose. We choose to leave the one middle section on the top white; it makes a good contrast with the rest of the vibrant colors. 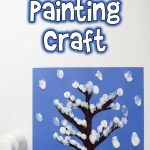 This project is a fun, creative way to brighten up a winter day, and it’s also a good record of how big your child’s hand is when they create their artwork. As fast as our kids grow up right before our eyes, it’s nice to have creative keepsakes to document their creative journey.